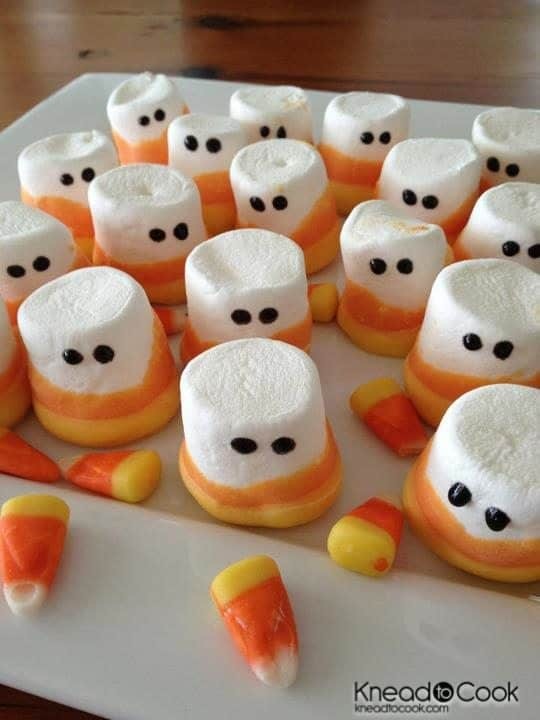 I’ve seen some cute candy corn recipes popping up recently and decided to look around and see what else I could find. Check out these sweets and treats from bakers and bloggers that are made with or inspired by candy corn. Candy Corn Frozen Yogurt From V And Co. I think I have died and gone to candy corn heaven!! Love all your ideas and thanks for sharing a couple of mine. Saw my first bag of candy corn in the store this last week!! Oh wow…I want to make each and every one of those!!! C’mon FALL!!! Thanks so much for including my cookies! Wow, this is an amazing list! 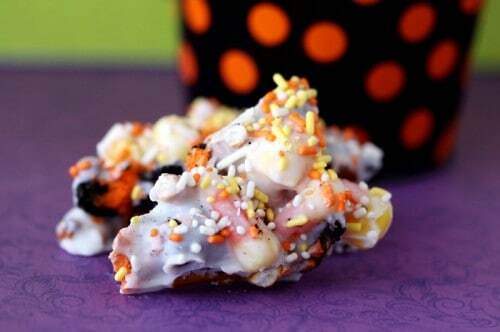 I’m not a fan of eating candy corn straight out of the box, but I love baking with it. Can’t wait to try out some of these recipes! It’s hard to believe Halloween is already around the corner, but these treats are definitely getting me in the spirit! Love the candy corn cheesecake, candy corn parfaits, and candy corn popcorn balls. I have two more to add to your list! Yay for Candy corn! and fall! Love candy corn! What a fun round up! Thank you so much for including me! So many fun ideas. Thanks for adding mine to the roundup.